august i went on holiday. not that i stop taking pictures, just like this little landscape here, they are not of london. the big event - not just of august, but of the london year is notting hill carnival. a couple of million people over the two days bent on having a good time, including quite a few photographers. 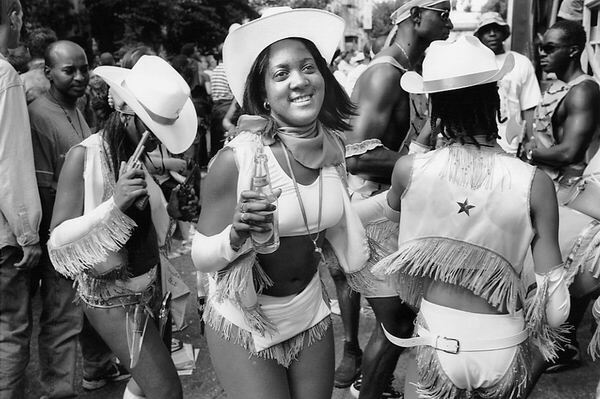 carnival is changing, getting more organised, losing some of its charm. i hope it keeps on for a few years, despite the opposition of some local residents and that attempts to get it moved to hyde park or some other less urban location fail. it needs to atmosphere of the streets between tall buildings throwing back the walls of sound, the crowds swirling through narrow streets. posibly we will look back with nostalgia at this year as the last of the real carnival, but i hope it will continue. Not London. 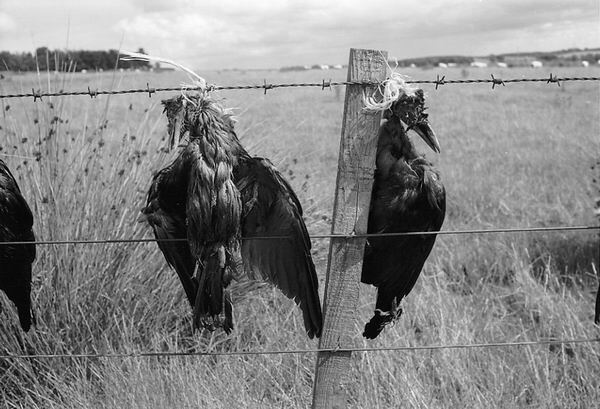 Dead birds strung on a fence in Northumberland.